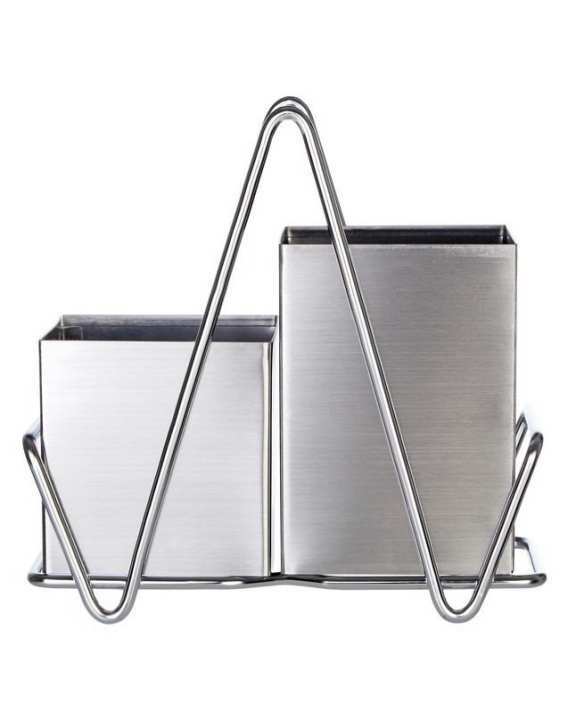 Elegantly designed, this cutlery caddy keeps the cutlery organised in the kitchen in its dual-comparts. It has an angled stainless steel frame in a chrome finish that neatly blends with the striking silver finish. Keep the kitchen countertop clean and organised with this chic holder that ensures a tidy space.